When opening an online account, especially your first micro Forex trade account, and decide to begin trading forex, your 1st few forex trades will more often than not be simple paper trades. You will be doing foreign exchange paper trading for awhile after forex account opening because you will need time to orientate yourself and get to know the market itself and exactly how to utilize the different trading tools available to you. Don’t worry, sooner or later, you will be ready to move on and to put your virtual stock trading days behind you. The question is whether this is really a good idea? Some of the top foreign exchange brokers, some of whom have traded forex for years; have discovered that it can be very helpful to continue paper trading from time to time. It can of course also be very profitable. Paper trading is especially helpful whenever you have a ‘losing trade spell’ because a losing trade will always affect you negatively and you will often feel a strong, sometimes subconscious, urge to win back the funds you've just lost RIGHT NOW. Instead of making irresponsible decisions, you can do a trade by simply running the trade on paper. To do this, you will study the market indicators, then open your position, then set a personal stop loss order, and lastly track your trade. You will move your trading stop loss as time goes by, before you close the position. 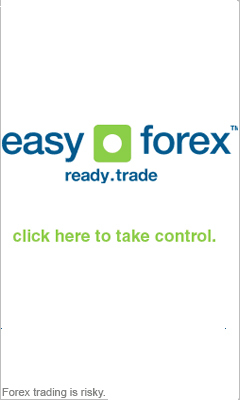 You will know that the time has come to close your position by interpreting the forex market indicators. You may gain money or lose money during forex paper trading but, since it’s only on written paper, this does not matter. What's important is that it has helped you to clear your mind and has assisted you in putting your last losing trade behind you. Furthermore, this FX paper trading can even be positive when you have another losing trade because you have not really lost any cash. Consider doing another paper trade until you have a positive experience that will help put you in just the best positive frame of mind to open a fresh trading position and track your trade. Paper trading is without doubt the highest recommended educational forex tool and the time and effort you spend on it is well worth it! Novice traders sometimes lose a lot of their funds because of incorrect order usage; for instance, using a forex limit order instead of a forex stop order, or purchasing a put option to close a long call option instead of rather correctly selling a call option. It is always best to first sharpen your forex trading skills in a paper trading account.